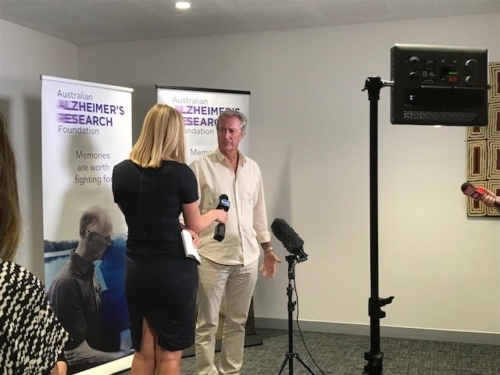 Australian Alzheimer’s Research Foundation Ambassador Bryan Brown took some time last week to talk to the media about Alzheimer’s disease and his role as an Ambassador for the Foundation. We thank Bryan for his passion for our cause – he created a buzz around town and certainly lifted the profile of the Foundation. Listen to what he had to say.